In mid-Wales, ten CCTV cameras are being installed in Aberystwyth by the contractor, Baydale Control Systems Ltd. It’s the latest work as 120 cameras are being installed in 17 towns across the Dyfed-Powys Police area of Pembrokeshire, Carmarthenshire, Ceredigion and Powys. 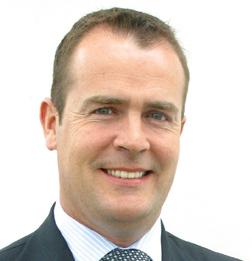 Police point to the Police and Crime Commissioner’s election pledge to reinstate public-space CCTV across the force area. Since July 2018 the new cameras have been installed in Builth Wells, Carmarthen, Llanelli, Ammanford, Saundersfoot, Tenby, Milford Haven and Haverfordwest. For maps of camera locations visit the Dyfed-Powys website. Cameras are due shortly in Newtown, Welshpool, Cardigan, Llandrindod Wells, Fishguard, Pembroke and Pembroke Dock. A CCTV monitoring room is being fitted in the Force Communication Centre at police headquarters, at Llangunnor, outside Carmarthen. 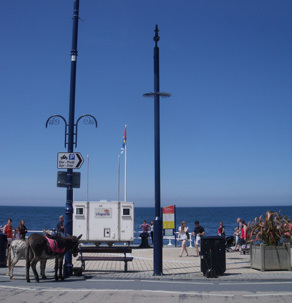 Picture by Mark Rowe; previous Aberystwyth seafront camera, 2016.